Note - the Festival is also observed on Bhadrapad Purnima in some regions in Maharashtra. The ritual is also known as Vrishabha Pujan. The day before Bail Pola Amavasi, the rope (Vesan) tied on the ox is removed and turmeric paste and oil is applied to the body of cow, ox and bullocks. Special care is given to oxen by farmers as it is their main source of livelihood. Some people replace the rope or Vesan on the day with a fresh one. 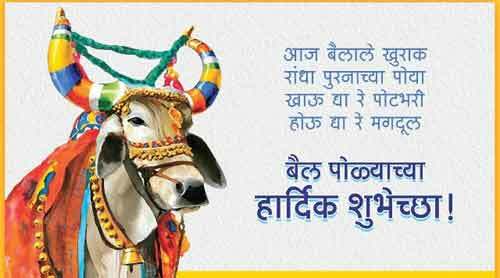 On the Bail Pola day, cattle are bathed and special food prepared like Puran Poli, Kichadi and Bajari are provided to them. 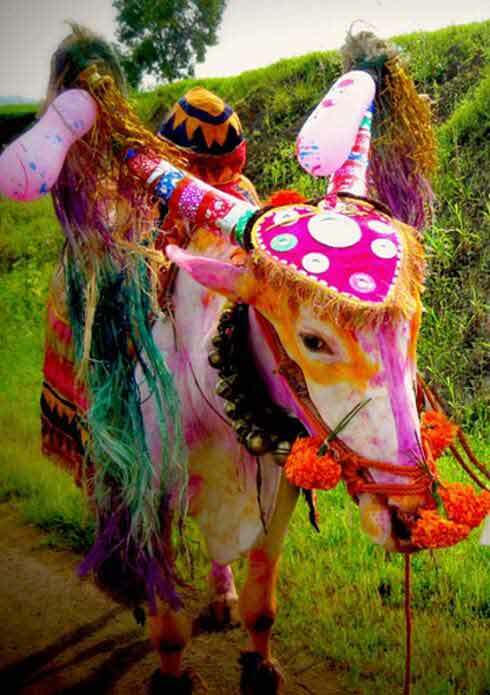 Oxen are also adorned with various ornaments and clothes. Their horns are given a fresh coat of paint. The bull is also worshipped in many places and villagers in large numbers gather to pay their respect. Bullocks are taken around the village in processions accompanied by drums and lezhim. 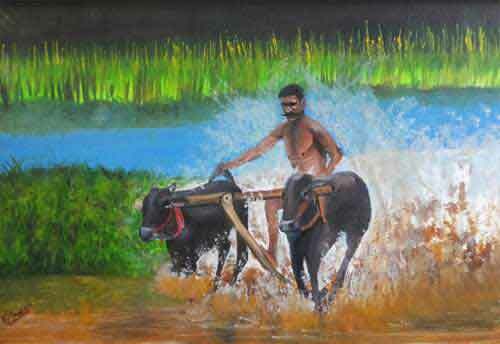 Many farmers also start the next farming season on the day. 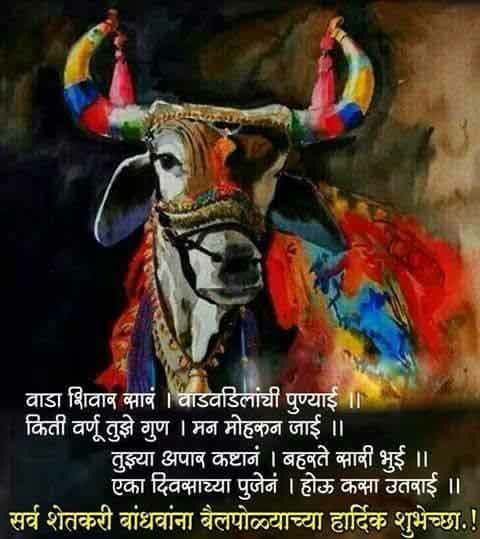 Today, an important activity on Bail Pola is the display of bulls by farmers. Farmers arrive at a decided spot to flaunt their bulls. In Vidarbha region, the day after Bail Pola is known as Tanha Pola - pola festival by children. In the festival children decorate wooden replica of bull. Bail Pola is known as Motha Pola in Vidarbha. In other regions, the day is observed as Pitori Amavasya and Kushgrahani Amavas.